There are certain computational problems which cannot be solved by algorithms even with unlimited time complexity. 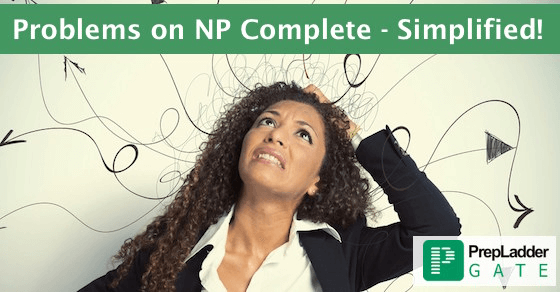 NP-Complete problems are another set of problems which fall under this category. 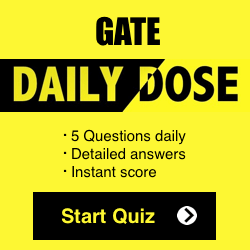 In order to assist you in your GATE preparation , We provide daily Free Quiz (chapter wise) , study tips , preparation Tips for GATE 2017preparation . P :These are a set of problems which can be solved in polynomial time by a deterministic Turing machine. NP : These are a set of decision problems which can be solved in Polynomial time by a Non-Deterministic Turing machine. NP is a superset of P.
These problems are the hardest problems in the NP set. 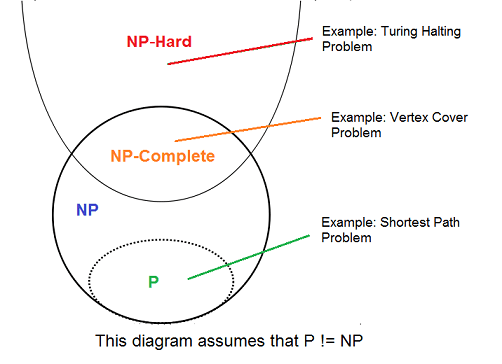 From the figure, it is clear that NP-Complete is a subset of NP-Hard set. Let L1 and L2 denote two decision problems. Suppose algorithm A2 solves L2. The main purpose is to find a transformation from L1 to L2 such that Algorithm A2 can be a part of A1 to solve L1. How to Prove that a given problem is NP-Complete? The technique is to take a known NP-complete problem and reduce it to L.
Then, we can prove that L is NP-Complete by transitivity of reduction if polynomial time reduction is possible. Q1. 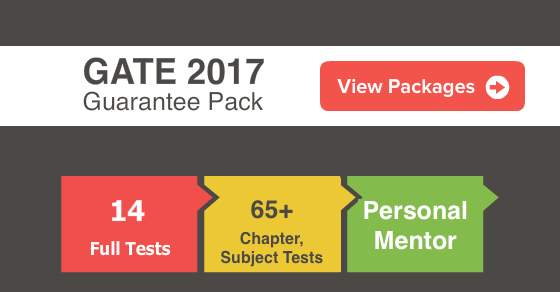 Which of the following statements are TRUE? A problem in P domain is definitely NP. This statement is also true. Q2. Let S be an NP-complete problem and Q and R be two other problems not known to be in NP. Q is polynomial time reducible to S and S is polynomial-time reducible to R. Which one of the following statements is true? Statement (A) is incorrect since R is not in NP.